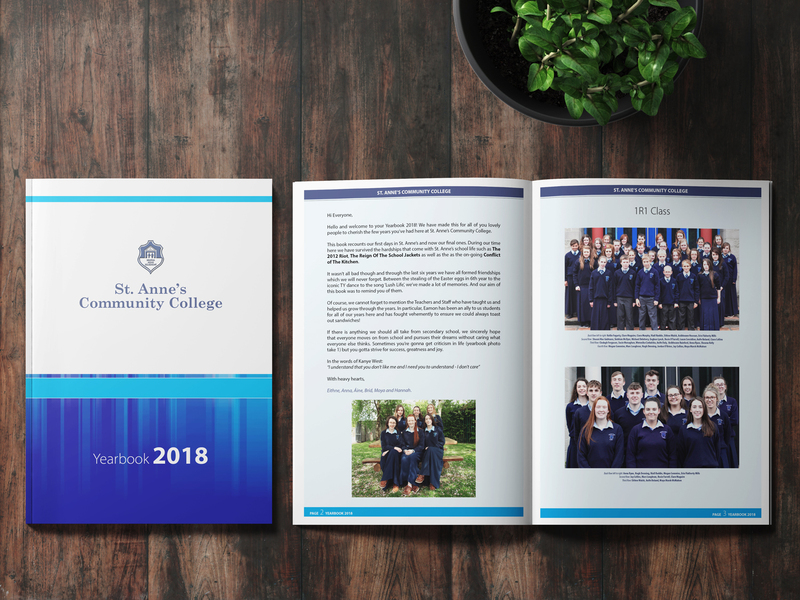 We look after the job completely - from graphic design of the School Yearbooks through to printing and perfect binding. We are totally committed to understanding your individual needs. 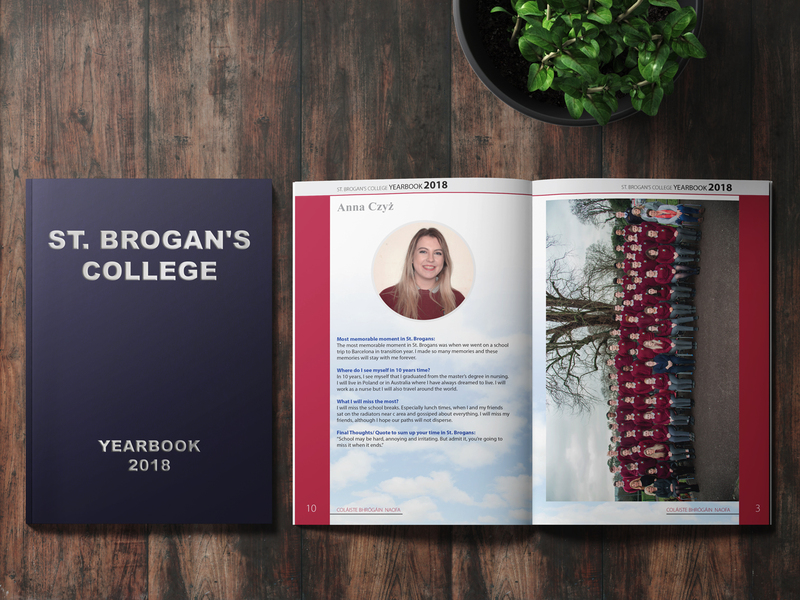 We offer excellent customer support and aim to create totally individual Yearbooks for every school. Give us a call on 053 914 4264 to arrange an appointment to discuss your requirements or send us an enquiry here. 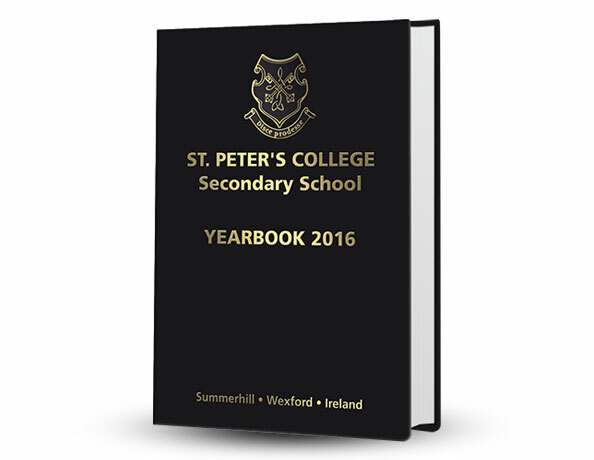 Most Yearbooks are produced with a Hardback Cover and Foil Printing. 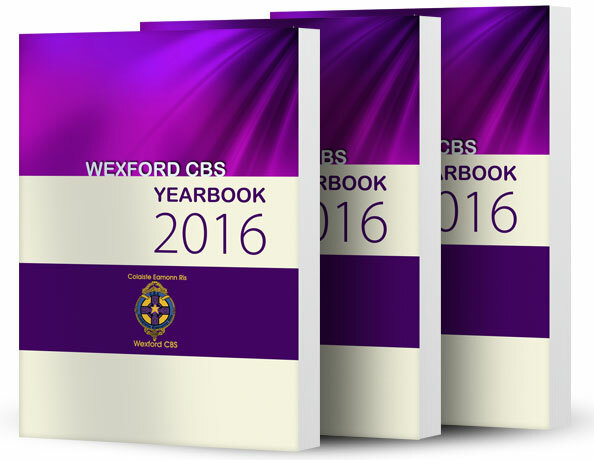 Other Yearbooks are produced with Soft Covers which are laminated for protection. 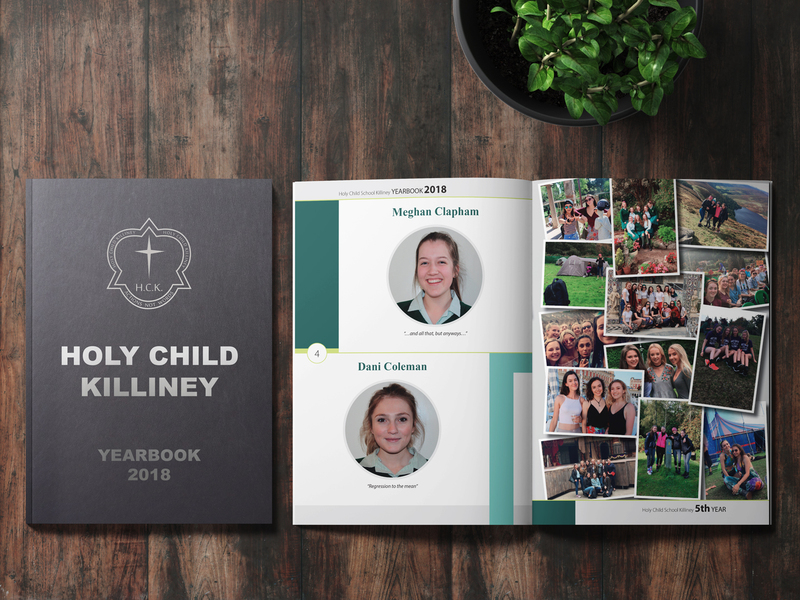 Your limited-edition Yearbook provides a time capsule that you will refer to year after year. Five or fifty years from now, you will flip through your yearbook to relive great times with special friends. Give us a call to arrange an appointment to discuss your requirements or send us an enquiry here. 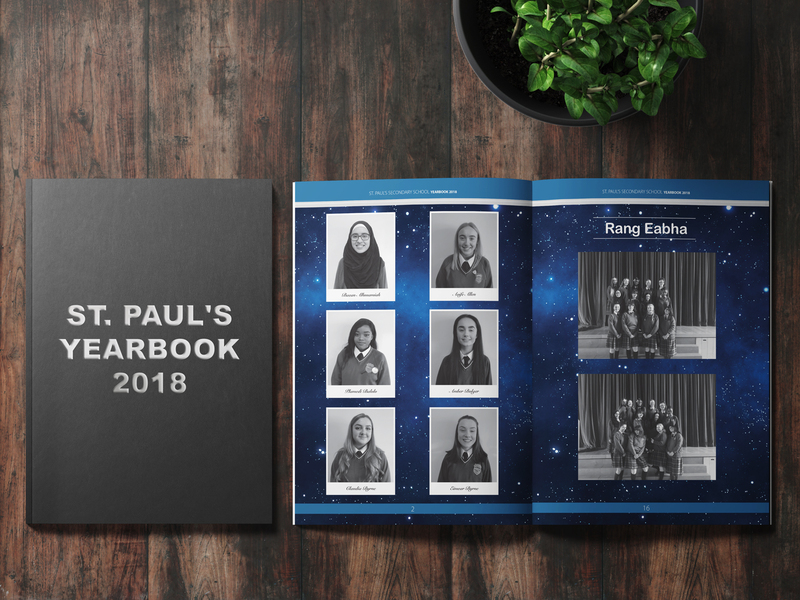 We have built a reputation for creating school Yearbooks and have worked with hundreds of schools throughout Ireland. Our systems are designed to help you make the most of secondary school memories. Through our comprehensive program, we are able to bring people, passions and technology together. Give us a call to arrange an appointment to discuss your requirements or send us an enquiry here. Why not follow us on Facebook! Below are some samples of our Yearbook designs. If you choose one of these designs, we can modify it to include your specific details. If you require a custom design, we can do that too! 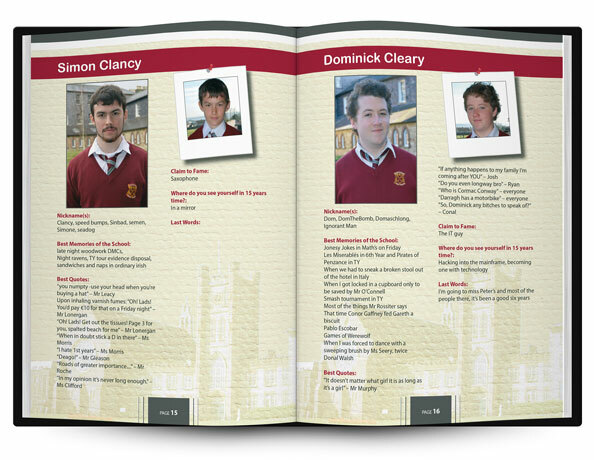 Give us a call on 053 914 4264 to discuss your Yearbook requirements or send us an enquiry here.